Thought you might be interested in the first of our new Camera On, Camera Off campaign for the Labour Party aimed at proving that David Cameron (the leader of the UK Conservative opposition party) rarely believes what he says. We are interested in the way that political communications are now about establishing ideas voters can play with. 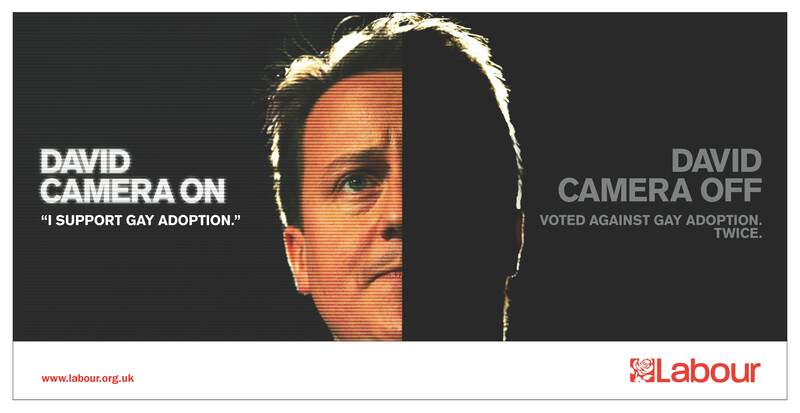 We saw that unintentionally with David Cameron’s ‘airbrushed for change’ campaign where people made their own versions by editing billboards or by uploading their own ads to sites like mydavidcameron.com. Obviously we’d like to encourage this approach with the Camera On and Off meme. This version was for a press conference this morning on NHS targets. Click below for the animated online version and more executions as they appear. 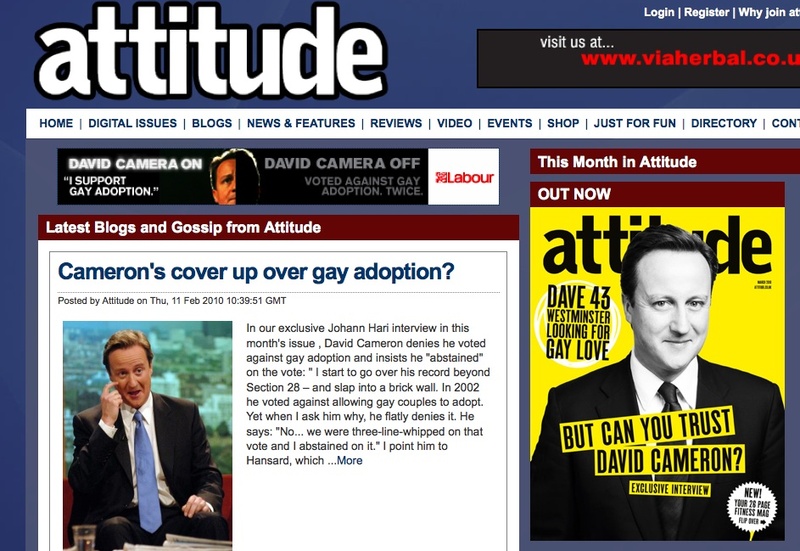 This is the version exposing Cameron’s habit of lying about his support for gay adoption. It appeared first along side an Attitude magazine interview with Cameron like so. Here he is getting confused about what to say about his Vice Chairman not paying UK tax. 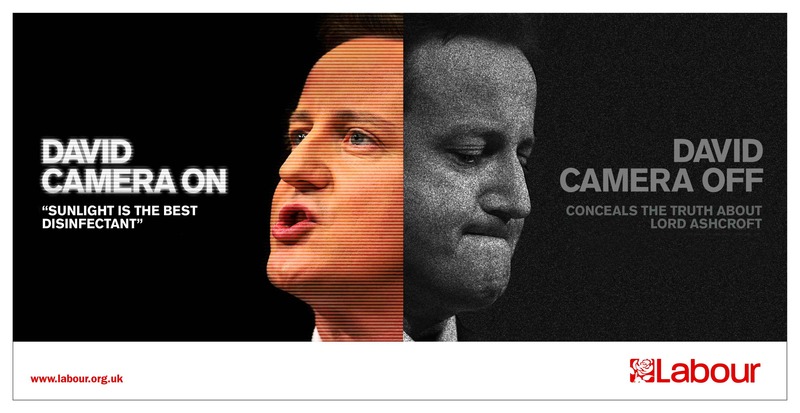 In fact doesn’t that mean that Cameron is spending money that should have gone to UK tax payers on his his own campaigning? Over the last few months politics has proven itself to be worthy cannon fodder for mashups and memes. I think politicians are inherently open to it by being a. almost universally distrusted and b. making a lot of speeches- which can be remixed. 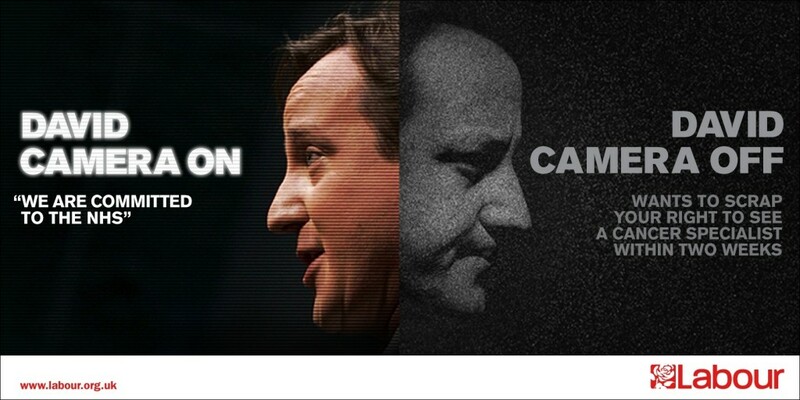 Still feels like a political ad but it’s a damn sight better than the Tory ones.